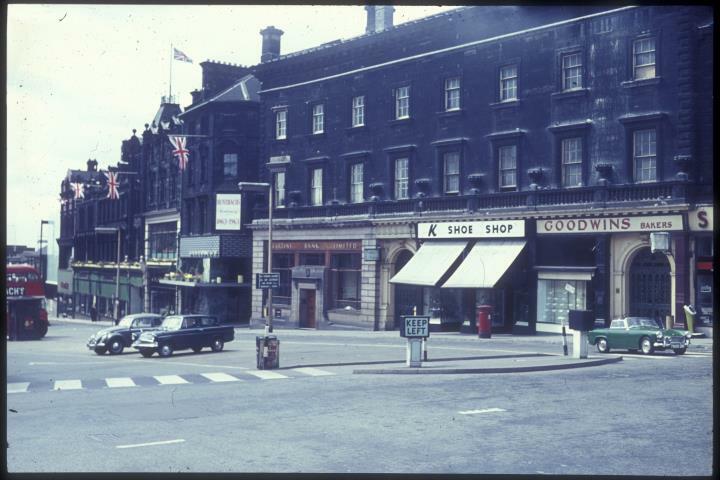 Description:A photograph of the north side of Market Square into Lamb Street, probably taken on a Sunday or Bank Holiday given the lack of traffic and parked cars. M Huntbach's store dominates one side of Lamb Street, bedecked with flags celebrating the centenary of its foundation in 1863. Further down, the steel framework of the "new" Lewis's store is just visible. Huntbach's store was demolished in 1978 to make way for a Littlewoods store, later Primark. Between Huntbach's and the Martin's Bank is Swan Passage and this side of the bank, the entrance to Hanley Public Market. 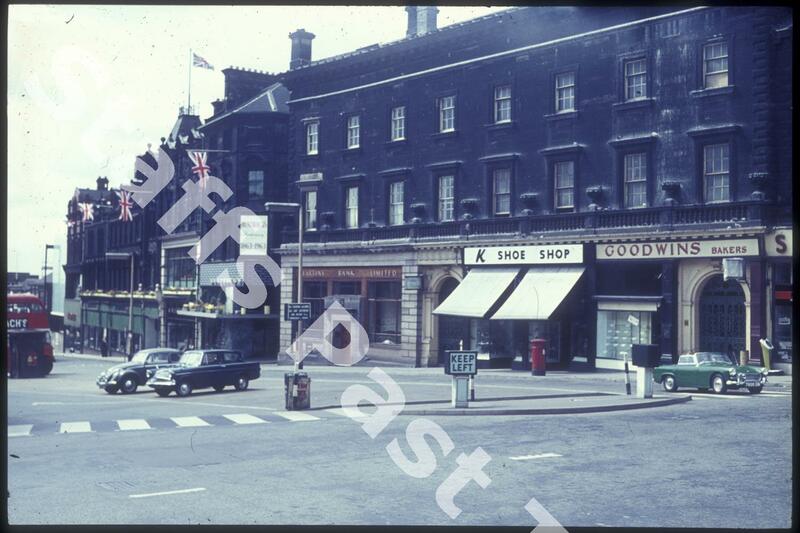 K's shoe shop, Goodwin's bakery (with an empty window) and only partly visible, Sherwin's music store complete the shops. This side of Market square has been replaced by the entrances to the new Hanley Market and the Potteries Shopping Centre.